Paisley Grey is a third generation Southern California native with roots in Orange County, and has lived in Los Angeles for fourteen years. With a background in art and fashion, Paisley Grey is committed to providing her clients with an aesthetically dynamic experience. Paisley’s time studying Communication and Fine Arts at Loyola Marymount University allowed her to build a solid foundation for the many creative paths she forged. 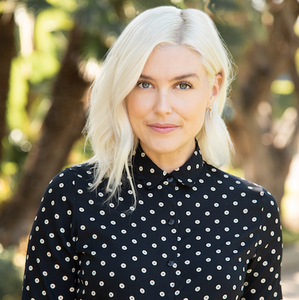 As a Realtor for the Carrabba Group, Paisley draws upon her studies and her unique career experiences in the fashion world to dazzle and delight clients. Before becoming a REALTOR®, Paisley began her decade-long career in the entertainment industry as a model, represented by Ford and Wilhelmina Models. This invaluable experience led her first to becoming a stylist (during which time she was the Fashion Editor for luxury publication Black Card Mag) and then eventually to her current art form; photography. When Paisley isn’t making Real Estate deals, she is shooting high-end fashion editorials to keep her busy. Her years meeting with fashion clients, producing photoshoots and curating editorials have refined her knowledge of what sells, and Paisley’s adaptability has enabled her to translate these same principles to the Real Estate market. When Paisley is off-duty you can find her playing basketball with The Pistol Shrimps, or adventuring to one of Jonathan Gold’s 101 Best Restaurants with her husband.